Estelle Fanta Swaray, simply known as Estelle, is a English singer, songwriter, rapper, record producer, and actress from West London, England. Estelle is known for her eclectic mix of various musical genres including R&B, soul, reggae, grime, hip hop and dance. She has experienced mainstream success with the single “American Boy” featuring Kanye West, reaching number 1 in the United Kingdom, and her collaboration with David Guetta in “One Love”. 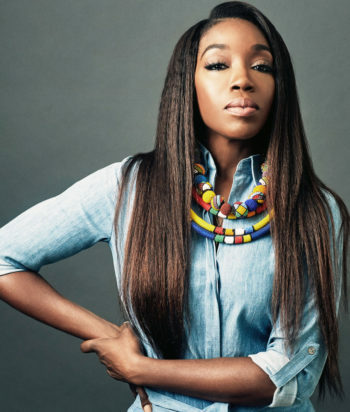 Estelle has released several critically acclaimed records and received a Grammy Award among other accolades. She is known for her collaborations with artists including John Legend, Robin Thicke, Rick Ross, Chris Brown, will.i.am, Kanye West and De La Soul. 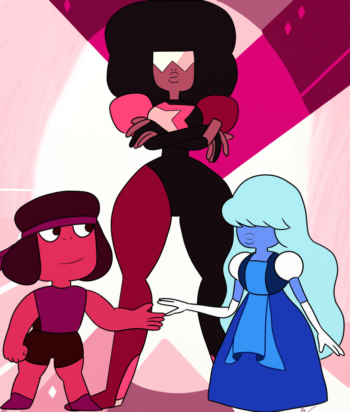 Since 2013, she has voiced the character Garnet in the animated TV series Steven Universe.